What a year it has been! If yours has been anything like mine, it’s been one of change, challenges and adventure. The highlight for me was the arrival of a baby girl in August. She has added yet another layer of love and logistics to the constant challenge of balancing life’s demands. As the year draws to an end, this is a good opportunity to reflect on your achievements in 2014. It only takes a few minutes to take stock of life’s blessings—everything from the food in your fridge to the people you care about. What did you achieve? What did you learn? What are your goals for next year? The year may also have brought some challenges. Recognise them, but don’t dwell on them for too long. Accept life’s lessons and look forward to the future. You might also find that you have unfinished business in 2014—goals that are still coming to fruition or problems that aren’t quite resolved. 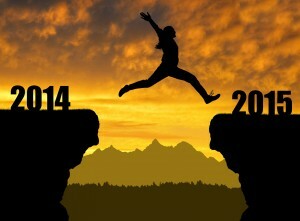 This is the time to restate your commitment and to formulate your plan for 2015. Remember: if you can dream it, you can do it. We talk a lot about money at MyBudget, but it really isn’t about the dollars and cents. It’s about financial freedom—freedom for you to make choices, to follow your dreams and to define your own success. These things are difficult to achieve if you’re living pay-to-pay or weighed down by debt. So to all of our clients, congratulations for all your achievements in 2014, whether you’ve just started or are well on your way. Wishing you a merry Christmas and a wonderful New Year!